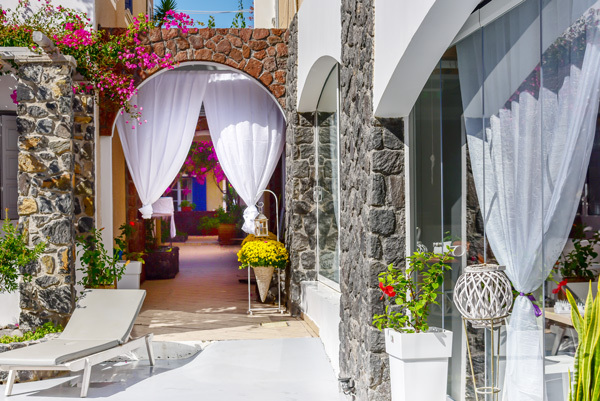 The King’s Suites is in the most vibrant part of the area, on the impressive beach of Kamari, famous for its black sand and crystal deep blue waters. 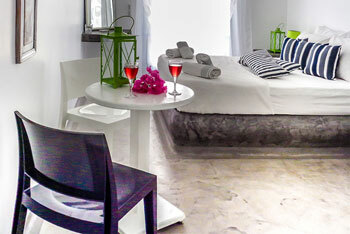 The King’s Suites, offering its guests a combination of modern luxury and traditional Cycladic style. It combines minimalism with comfort and a philosophical attitude of life, proposing a simple island design. Each of the unique rooms and suites are designed to welcome you in the most intimate way. The elegance of the rooms and suites is highlighted by modern furniture with color surprises. The bathrooms with shower are made with traditional technique included in the Standard benefits. Here one feels like home. 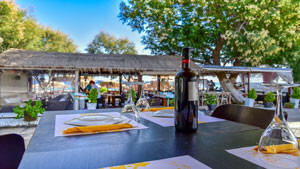 The King’s Bar-Restaurant, offers its guests a big variety of exclusive dining and drinks to choose from. 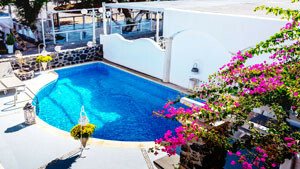 Pool with sun-beds & umbrellas plus an outdoor hydro-massage offers you a pleasant and relaxing stay. 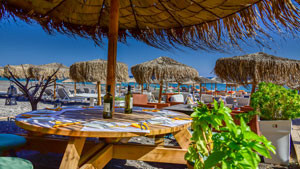 The King’s Suites, is located on the beach of Kamari famous for its black sand and crystal waters. Einer der renommiertesten Hotels in dem ich je war. Das Personal war sehr freundlich, alle meine Bedürfnisse erfüllt. Das Hydro-massage war wunderbar, was mich sehr gut. Ich möchte alle Leute, dass du mich das Gefühl, dass gut danke !!! Again , the third time we came back to this hotel , what more to say! 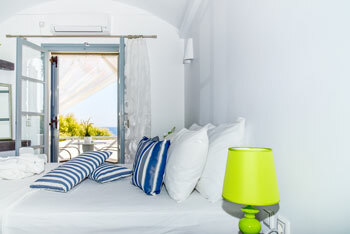 Necessarily looking for a room with sea view-its fantastic.-think Oh my God I am in the heaven. The rooms are clean and confortable. The staff is really good and friendly. Great food. The sea is clean with beautiful blue color. Ξεκινώντας από τη θέση του ξενοδοχείου η οποία είναι καταπληκτική!!! Μόλις μισό βήμα από το νερό και την πισίνα. Στα ανακαινισμένα δωμάτια που μέναμε, ήταν υπέροχα και όλα καινούργια. Παρόλο του ότι το ξενοδοχείο ήταν γεμάτο, είχαμε πάρα πολύ καλή περιποίηση.